James Akers is an artist, educator, blue collar worker and CEO with an explosive approach to making. 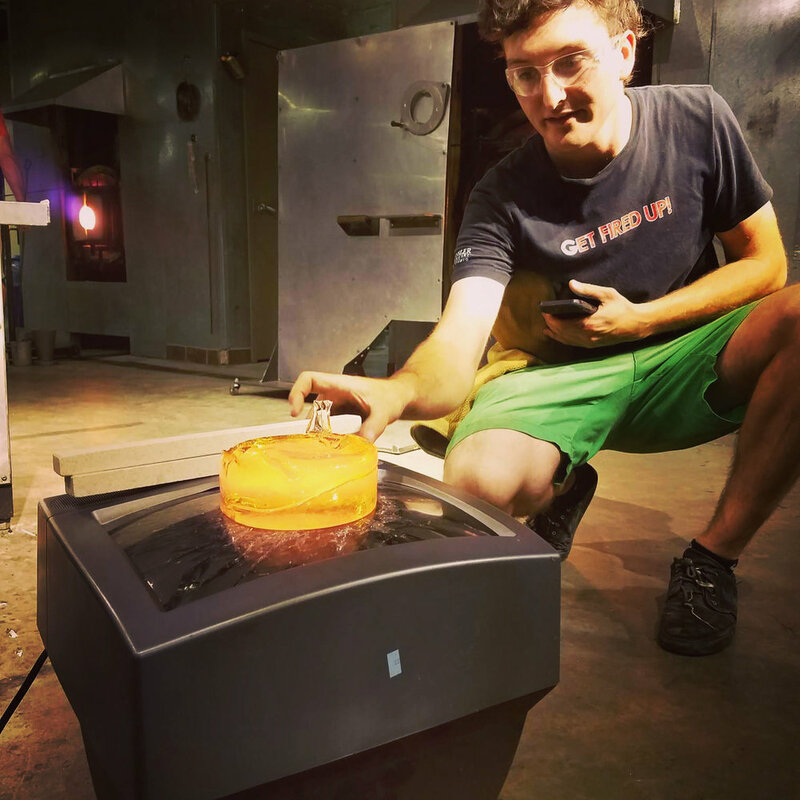 Akers graduated from Alfred University in 2015 with an addiction to glass, neon, and electricity. Thriving on change and fascinated by waves of all kinds: sound, light, and electricity, he is captivated by the notion of “the wild one” and people doing things they are not supposed to. Akers has shown his work internationally, been the recipient of public art commissions has received numerous awards and grants for his practice and is the is Chief Executive Officer of Cold Cathode Compact Fluorescent Light Company. Currently, Akers is based out of Dallas Texas where is exploring a blue collar lifestyle while teaching neon classes, and packaging ideas on art and life by creating a series of celebratory, reactive electric sculptures.